Well Thursday evening was a rush. We were home from school and work, changed, hair done and back out the door by 5.20. 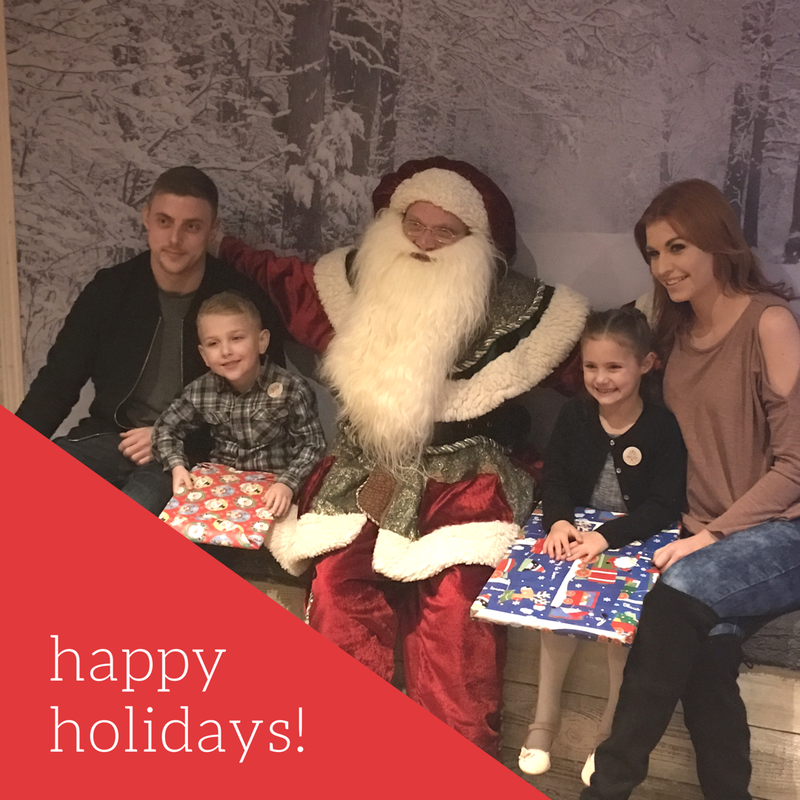 The kids were so excited to be going to see santa and they rehearsed what they were going to ask for the whole car journey there. 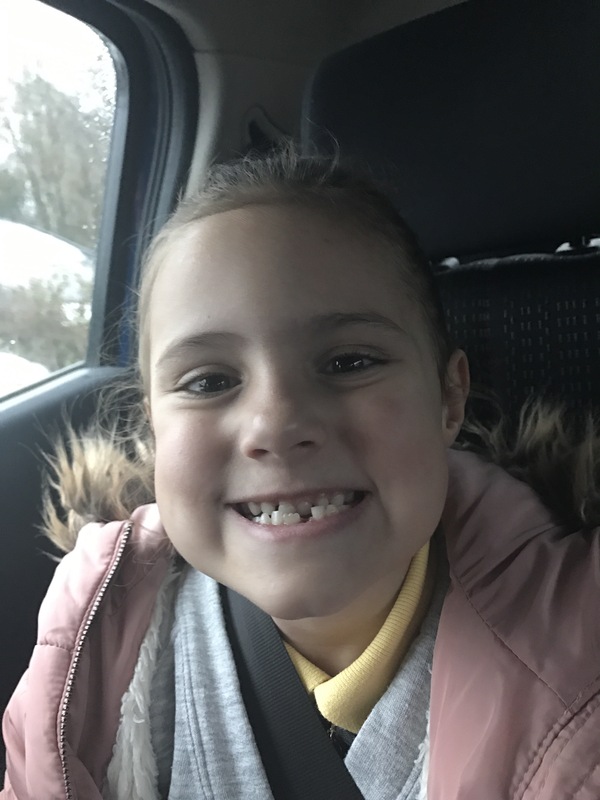 Millie had also lost her tooth at school that day so she was extra hyped up about all the magical visits she was getting that evening! Once we arrived at Stewart’s garden centre they raced around looking at all the xmas displays the place had to offer, touching things that I’d not be paying for if they broke them! We qued up and waited for the elf working to check us in with the big guy! Every year I can never fault the effort Stewart’s go to to make our santa visits so magical for the children. It’s a tradition now that my grandma and grandad book us all in and then after our visit we have dinner or afternoon tea out depending what time our visit is that year. 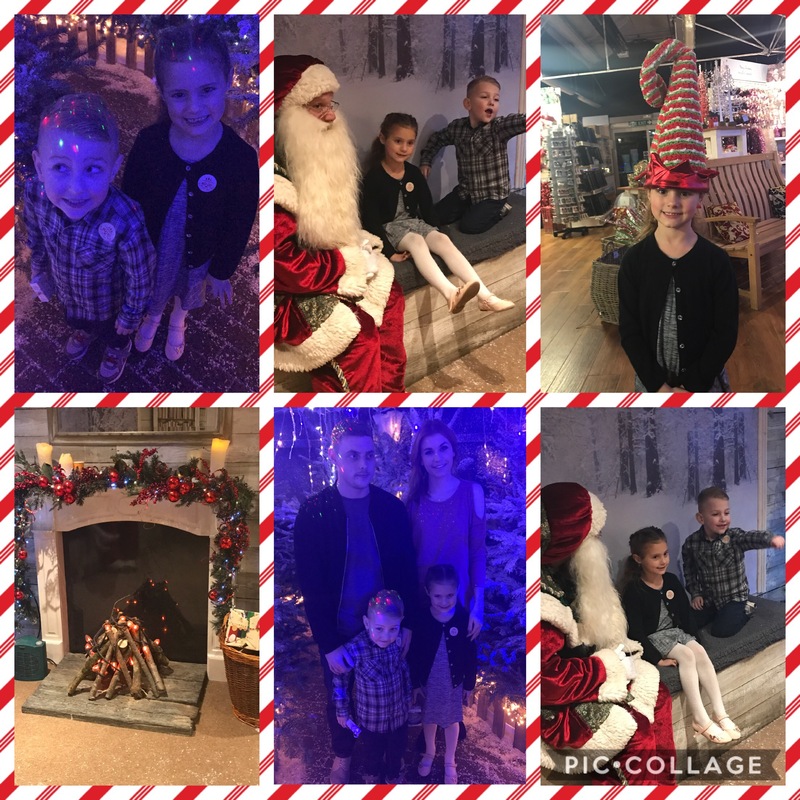 Luke and I have taken the kids to see “santas” lots of times previous years but this is the first year Millie has been able to come along on our annual trip. 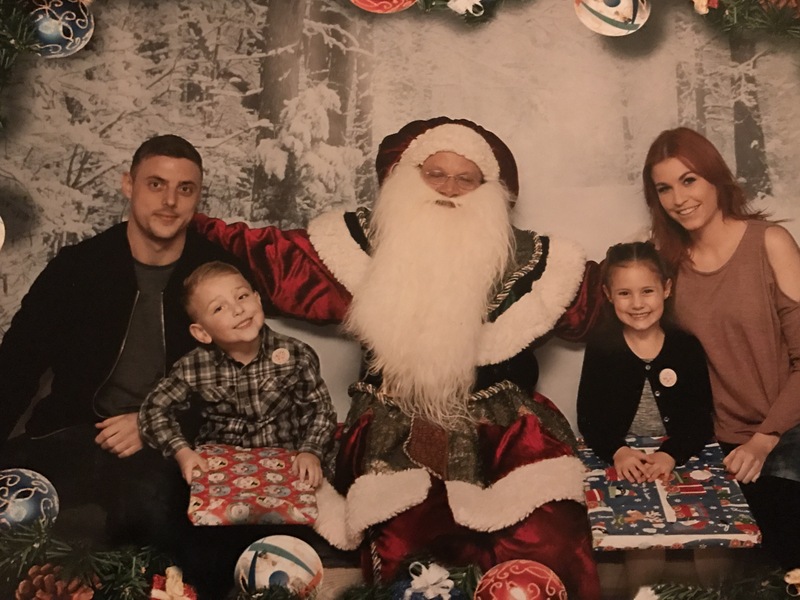 We had a lovely family photo done this year which we managed to get everyone looking in the same direction, smiling at the same time and no funny faces pulled at all so that was all I was really bothered about ha! On our way out of the grotto Stewart’s have 2 reindeer there every year, Connor wasn’t keen on them last year but this year after lots of persuading they stood in front of them and took a decent picture after my 100 attempts. 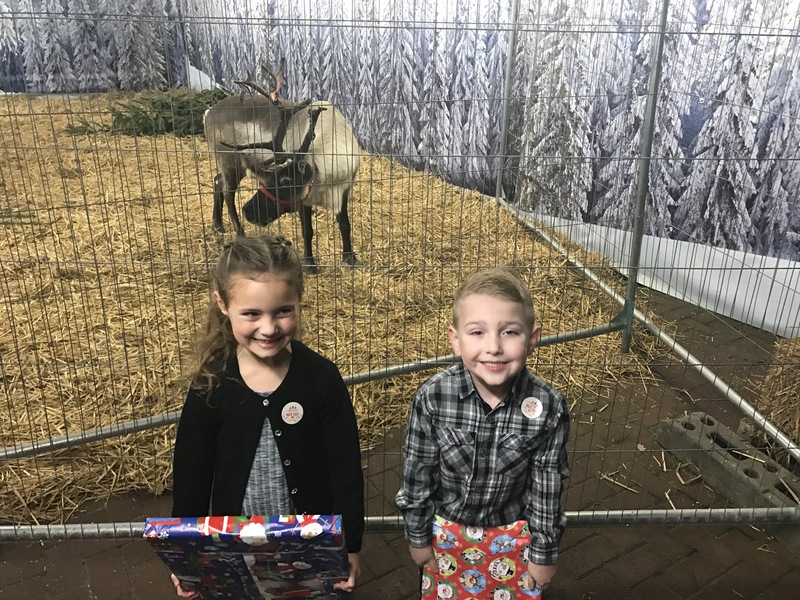 I think by this point they wanted dinner, had seen the most important man ever and didn’t really give a crap about these “magical” reindeer! After we had dinner and paid for the personalised baubles ( because they needed new ones obviously!) we headed home. Christmas is such a lovely time of year, painful for parents because it can get so ridiculously expensive but little ones really do find it magical. I know we’ve got a longtime to go yet but I’ll be sad when they stop believing. Christmas is also good leverage with getting the kids to behave! After baths and pjs on Millie stuck her tooth under her pillow and told me “she’s coming tonight keleigh!” My reply was simply “of course but only if you go straight to sleep” what my head really said was my purse knows it babe!! I’d love to know what people are paying these days for teeth?? It was always £1 when I was growing up but we’ve set it at £1.50 a tooth. When her first tooth came out she got £2.50 as it was the first but when Connors start to fall out as well £2.50 a tooth I thought would cost us a fortune! 😂 I might have to do some research and find out who started this tooth fairy malarkey and have a word. Anyway here she is proudly showing me- the little gapster! Kids break up from school next week, I finish on the 21st and then I’m not back until the 31st so I’m welcoming that break with open arms! 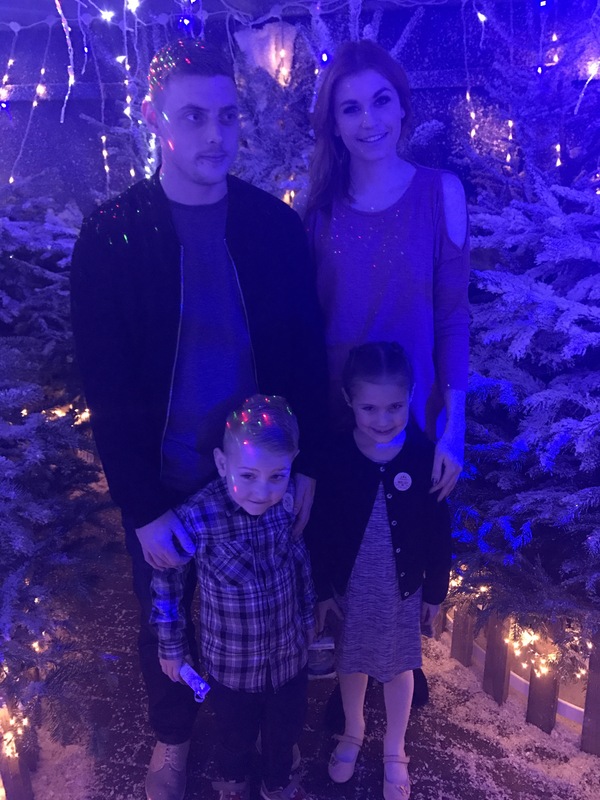 It’ll be nice to spend some time together all 4 of us over the xmas holidays, I have some ideas on a couple of things to do with the children. First thing to do will probably be to get the decs down!! Ha! Such a Scrooge when it comes to xmas mess in my household! Next Infinity Dutch braids and pull through patterns!